Brian Jungen (born 1970, Canada) is of Swiss/German and Dunne-za descent. He grew up in northern Canada where he took a keen interest in his family’s resourcefulness and recycling of objects. He studied art in Vancouver and currently lives on a ranch in rural British Columbia. On a 1998 trip to New York City, Jungen purchased a pair of Nike Air Jordan basketball sneakers. 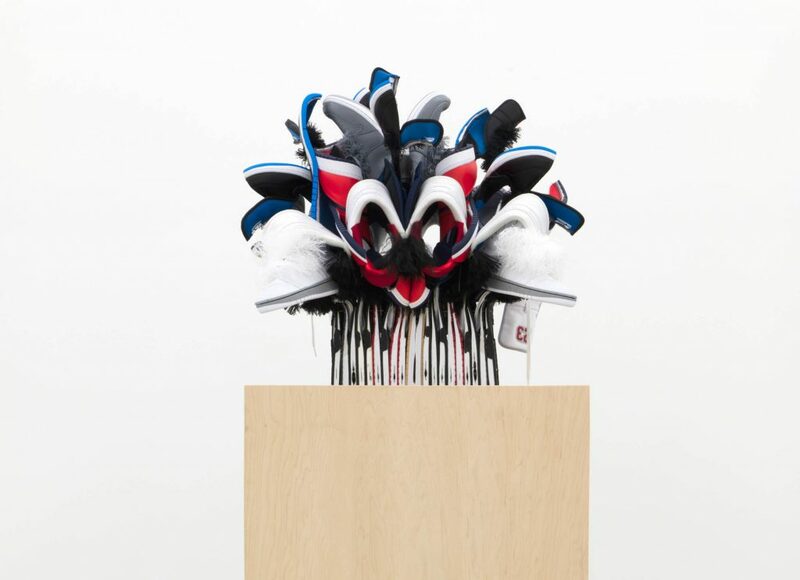 For Jungen, the red, white, and black colors of the sneakers resembled the traditional colors of indigenous art from the Northwest coast. 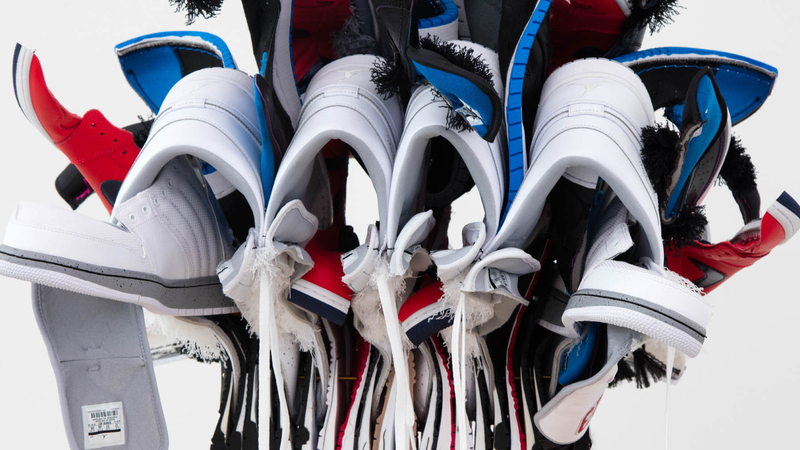 Recalling his family’s practice of recycling, the artist began to deconstruct the shoes as well as other leather goods and sports gear to transform them into sculpture. Jungen is interested in transforming consumer goods into anthropomorphic forms. 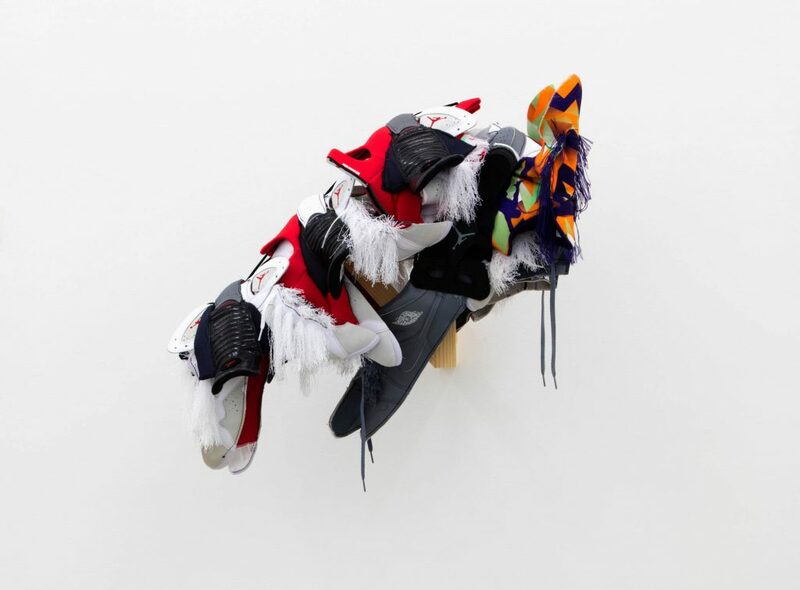 He plays with connections between cultural categories that are usually understood to be distinct: indigenous sculpture, modern art, natural history museums, and retail display. 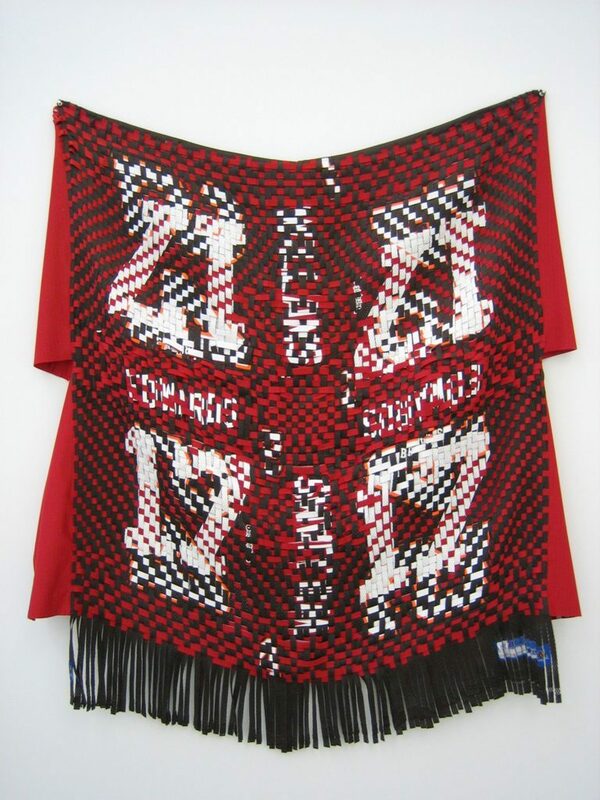 PlayTime curator Trevor Smith considers how Brian Jungen’s work blurs the boundaries of sports, play, and intimacy. Read the transcript.